TagItalia has obtained and concluded a significant order for the supply of special RFID readers designed for Railway environments. The Readers 156640 Long Range RFID for Heavy-Duty and rail environments are among the most advanced products of TagItalia’s proposals for Railway environments, thanks to their high performance and complete and constantly up-to-date observance of the strictest regulations of the sector. The initial order of Hitachi Rail for no. 30 reading units has been completed to allow the installation at the innovative railway line Milan Leonardo lines 1-2. More information about the product. 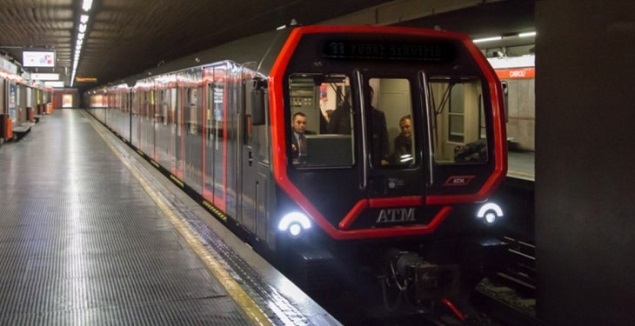 A particularly important plant because, as reported by Hitachi’s website “The trains for lines 1 and 2 of the ATM network of Milan Metro represent the evolution of vehicles that are in service by various European and non-European operators. Staff of Generale Sistemi is particularly satisfied for this supply both for HW part and the use of dedicated owned software, and specifically developed internally. This order confirms the confidence given by TagMaster’s products and Generale SIstemi’s ability to provide a high level of technological development, catching the attention and consideration of Hitachi Rail for quality of its suppliers, also after the recent change of ownership. The complete system will be used to automate the process of identification of the innovative Train which makes its own technological and sensor equipment one of its main strengths.